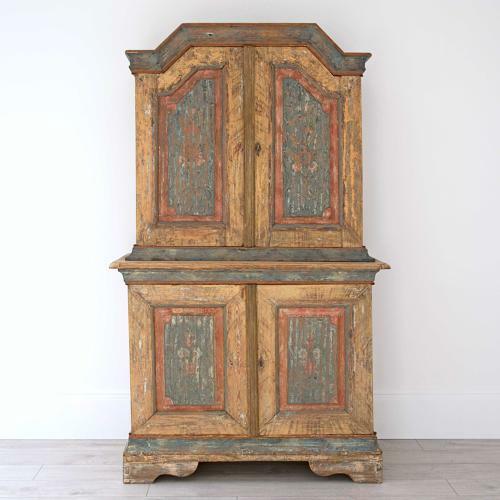 An exquisite and completely original 18th century Swedish Baroque cabinet from Mälardalen near Stockholm. This remarkable two piece Scandinavian cabinet retains much of its stunning original folk art paint, and is monogrammed & dated 1790 on the inside of the top right hand door. For access to exclusive Interior Designer discounts please register above for a TRADE LOGIN.